A/D converter, and a new SAFOX IX+ 11 point autofocus system. 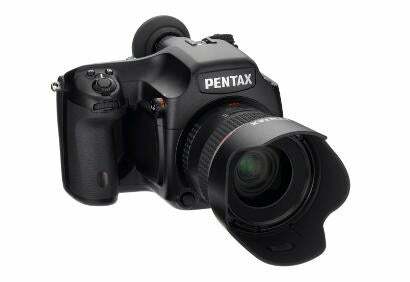 previous film medium format cameras, therefore allowing compatibility with older lenses, though Pentax have also launched a new D-FA lens to accompany the new body. This is a 55mm f/2.8 (43.5mm in 35mm equivalent) dust-proofed and weatherproofed to match the camera, and features Pentax’s first fully rounded diaphragm. professional fashion and portrait photographer in the past and no doubt Pentax will be hoping to tempt these lapsed or film Pentax users back into their new digital version. We will bring you further details as soon as we have them. 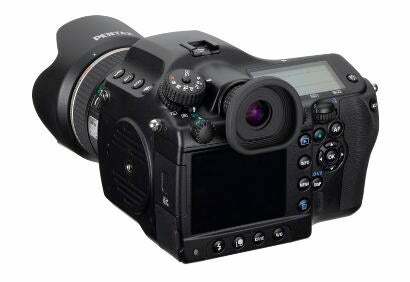 are the main features of the 645D.